Are you an Alaska resident looking to adopt or place your child for adoption? Are you unsure of where to begin? We’ve got you covered. The following information will help you navigate the process in Alaska and answer some frequently asked questions about adoption, as well as provide some resources to help guide you along the way. Making the decision to place your child for adoption can be one of the toughest, but selfless choices you make, but being well-informed about the process may help ease some of your stress. The following information will provide some important factors to think about when considering placing your child for adoption in Alaska. Who must consent to an Alaska adoption and how does it work? When is consent not necessary for adoption in Alaska? After the final entry of decree of adoption, consent cannot by withdrawn. The Birth Father of a child is entitled to his parental rights in Alaska if a voluntary acknowledgement is signed by both parents or through a lawsuit if the Birth Mom and Presumed Father cannot agree on the paternity of the child. Adoption is no easy decision, but it is a life-changing one, so it is important that you understand the process before you begin your journey. Continue reading from more information about the adoption process in Alaska or scroll to the end of the article for a list of adoption agencies to help get you started. What are the laws and requirements for adopting a child in Alaska? In Alaska, a single person or married couple may petition to adopt a child. In order to be eligible, you must first go through any adoption-related training required by your agency. For more information about the process, click here. Can You Finalize an International Adoption in Alaska? 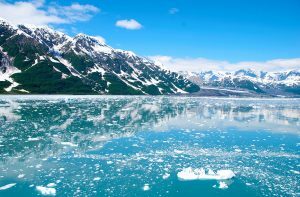 Who Oversees a Home Study in Alaska and Who is Included in it? In Alaska, the home study process and investigation will include all people living in the Prospective Adoptive Home. It will be facilitated by a representative from the Department of Health and Social Services or a court-appointed individual. In Alaska, the following may be grounds for disapproval of your home study and eligibility to adopt. What are the home study requirements for adopting a child from another state? If you are a resident of Alaska, but are presented with the opportunity to adopt a child who was born in another state, you must comply with the provisions of the Interstate Compact on the Placement of Children, which is a contract among the states to ensure safe adoptions across state lines. In Alaska, a home study is not required for stepparent and relative adoptions, unless otherwise requested by the court. A post placement assessment is an evaluation of the child’s integration into the adoptive family’s home that takes place before the adoption can be finalized. It is meant to ensure that the child and family were a good fit for adoption. In Alaska, any changes to the family’s health or financial status that may affect the child will be documented during this process.